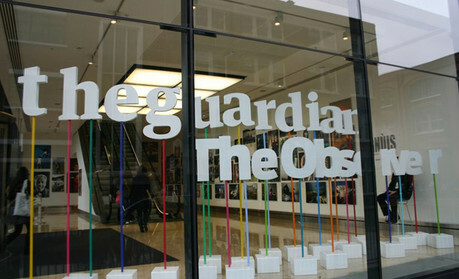 Having just finished an MA in Broadcast Journalism and bank balance not so positive, attending a Guardian Masterclass was not an easy decision. But having a few investigative ideas myself and needing some advice from industry professionals, I happily decided to part with my £129. Running from 10am to 4pm, the day was very well organised and everything ran in time. Lunch was provided, with dietary needs all catered for. I was delighted to find it was hot food (with dessert! ), not sandwiches and crisps on the side. Just under 100 people attended, who were across all ages and backgrounds. As well as journalists, there was a history degree student, video producer and even a banking software engineer. Session 1 covered the basics of investigative reporting that would be useful for people who are starting out in journalism. Taking his own work on Qatar’s World Cup Slaves and his investigation into Prince Charles, Robert talked about the factors that make up a good, well textured story and how he identified key people and places. Then we were set an exercise to think about key facts, characters, data, quotes, and colourful and telling details of our own investigative stories. His presentation was well laid out into bullet points, which is a bonus when you’re trying to take notes in the short amount of time. Robert also talked about the importance of being organised, as you would often be working on your investigation alongside other jobs and projects. Putting dates on notes you made and keeping separate notebook for each stories was one of his tips. A lot of Rob’s advice wasn’t only restricted to the investigative journalism, but reporting on the whole. Be willing to drop whole section to maintain drive, but don’t edit out the energy. In Session 2, Felicity talked in detail how she worked through her stories of contaminated chickens, horse meat scandal, and Serco’s data meddling. As well as lists of sources she used to substantiate her stories, she also shared the realities and disappointments she sometimes has to face, such as not much action being taken after the exposé. When researching, bury yourself in the industry jargon. This will help you to understand the story better when talking to the whistleblowers. Session 3 and Session 4 were full of practical tips on how to get around companies who are not willing to give away their information. For example, asking for ‘documents’ rather than ‘information’ is more likely to get your FOI request granted. David Leigh’s talk was mainly on the ways lawyers try to stop the story from being published, and how to protect ourselves from libel. Having already studied media law, the first part of his talk felt like revisiting those lecture days again. But what was really useful was a sample letter a journalist can send to a company he/she is trying to hold account for – with key phrases and words to include to prove your responsible journalism. He also talked about how to discern whether a threat from a lawyer is an empty one or a real one. Overall, I found the day very helpful, with great speakers and well supported materials. The material was later emailed to us after the class. The whole day carried the sense that everyone was very well looked after, and I could definitely see myself attending another session of the Guardian Masterclasses.